This time last year, three and a half months after my last knee operation, my first paddle took me to the Gareloch. 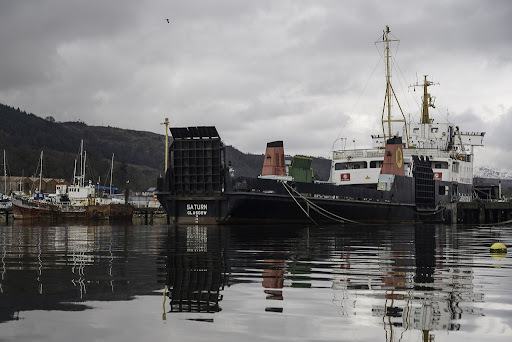 At the Rosneath breakers yard we came across MV Saturn which had been laid up since 2011. It looked like she was doomed. 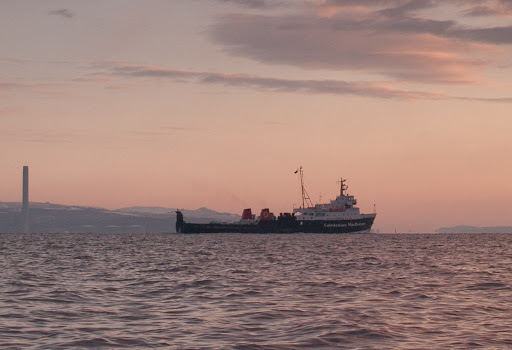 Saturn was the last of three Streaker class CalMac ferries that ran on the Clyde. She was launched at Ailsa Shipyard in Troon in 1977. Her sister ships Juno and Jupiter were scrapped in 2011 at Rosneath and Denmark. The Orcadian newspaper has carried some good news for Saturn. She has been sold to Pentland Ferries and will be refurbished and used to carry freight traffic across the Pentland Firth and round the Orkney Islands.